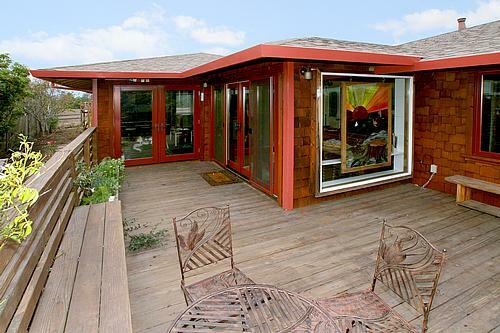 As a Santa Cruz Paint Contractor, Duren Painting has the experience to do the job right. Whether resedential or commercial paint work, Duren Painting takes all the necessary steps to ensure a quality paint job. From preperation to application of the final coat of paint we are here to serve your needs. Using only the highest quality materials and paint, your next interior or exterior paint job with Duren Painting will last for years to come. Duren Painting is a company dedicated to paint. Duren Painting also offers deck staining & refinishing . As a Santa Cruz Paint Contractor I realize that our specific environment can be very harsh on your home, that is why I suggest protecting your investment by keeping your exterior & interior paint in tip top shape. When Duren Painting shows up on the job we offer a full line of services to make sure that your paint job gets done right. Duren Painting is a full service painting contractor who offers color matching, stucco repair, Color consulting as well as popcorn ceiling removal and retexturing. Once you are ready for paint, Duren Painting will use only the highest quality paints from Sherwin Williams, Benjamin Moore, Pratt and Lambert ,Kelly Moore Paint,Ralph lauren paint,Pittsburgh paint PurePerformance. If Low VOC, 0 VOC, Green Paint,Enviromentally safe paint is your desire, Duren Painting is well versed in the use and benefits of these types of paints and products. Oil based paints are a thing of the past. Modern latex based paints dry faster ,harder and are much safer to use. Gone are the days of toxic paints with lingering odor and toxic off gassing. No longer does an interior or exterior paint job have to send you away from you home. Feel free to look around our site and discover more about Duren Painting and the many services we offer. Please press the ok button to visit our blog site to learn more about interior and exterior painting. At the blogsite you can learn how to keep your paint investment properly maintained.